A fascinating swirl of events set in 1950s Fes—a city that will never again look as Bowles described it here. The intriguing characters and scenery easily compensate for the plot's slow buildup. With good reason, Spider's House is the book I most often recommend to visitors to Morocco. Though one of the best known English-language books about Morocco, Sheltering Sky is also the worst of them all. To read Bowles' drivel here is nothing short of torturous, not least of all because Spider's House shows that he really had some talent. The icing on the cake? The movie manages to perfectly recreate the book's wretchedness, and is as painful to watch as Bowles' novel is to read. Simplistic almost to the point of meriting re-categorization in the "young adult fiction" section, Lalami's intertwining tale follows the stories of four stereotypical Moroccans, and is nonetheless a great introduction to the country and its society. A very readable, easily accessible work. 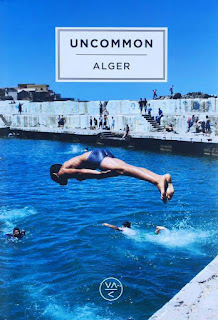 By far the most peculiar, quirky, and simply fascinating Moroccan book I have read, this story collection respects no boundaries. Bowles's hand is unmistakable, though his role in this volume was ostensibly just as transcriber and translator of the tales of these five Moroccan authors. Bizarre yet entertaining, Five Eyes is also one of the works on Morocco that I most frequently recommend. Out of print but worth seeking out. Personally, I found this novella—"the first by a Moroccan woman to be translated from Arabic to English"—to be a fairly uninspiring read. If indeed it was (as the intro indicates) a smash hit as a serial in the local Arabic-language newspapers back in the 1980s, then much of its character must have been lost in translation. 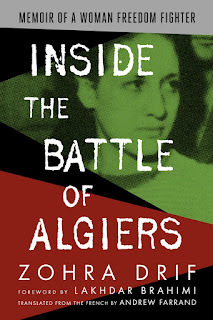 The introduction, written by an American academic and colleague of the author's, is the best part, giving in the space of a few pages a fascinating overview of the colonial transition and its impact on Morocco's education system, women's rights, and national identity. With a slight step up in complexity from Hope and Other Dangerous Pursuits, Lalami manages to show even more intimately the struggles faced by the many down-and-out youths in Morocco today. Want to understand the mindset of the poor, the unemployed, and the frustrated in this society? Read Secret Son. Don't let the simplicity of its language fool you—this novel is good, and another of my favorite ones to recommend. A House in Fez by Suzanna Clarke is worth a read. An intimate and sensitive account of life in the Fez Medina. One of the best books of its kind. The photographs (especially those in the Australian edition) are stunning. Thanks for the list. I've only read a few. I obviously have some catching up to do! Mrabet has written a few other good stories such as The Big mirror, which might be worth adding. Or For Bread Alone by Mohammed Choukri was very striking. Katya, I've read A House in Fez. It's a very nice book but I'm not sure it necessarily fits with such a high class list of Moroccan literature. 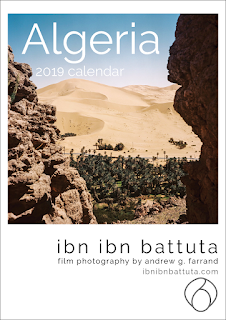 @ Sandy ("Katya"): I'm currently working on my nonfiction and memoir list, to be posted shortly, but I won't be recommending A House in Fez. I think doing so would only encourage yet more foreigners to buy houses in Fes - a phenomenon that I personally believe is exacerbating a lots of the city's current social woes, as I've written previously (see http://www.ibnibnbattuta.com/2008/12/two-tales-of-a-city-the-realities-of-tourism-in-fes.html ). Thank you for reading. @ Clare: I'm glad you enjoyed the list, and thanks for your other suggestions!